The Age Website front page on June 23 2014. Do they even pay attention to he news they are publishing? 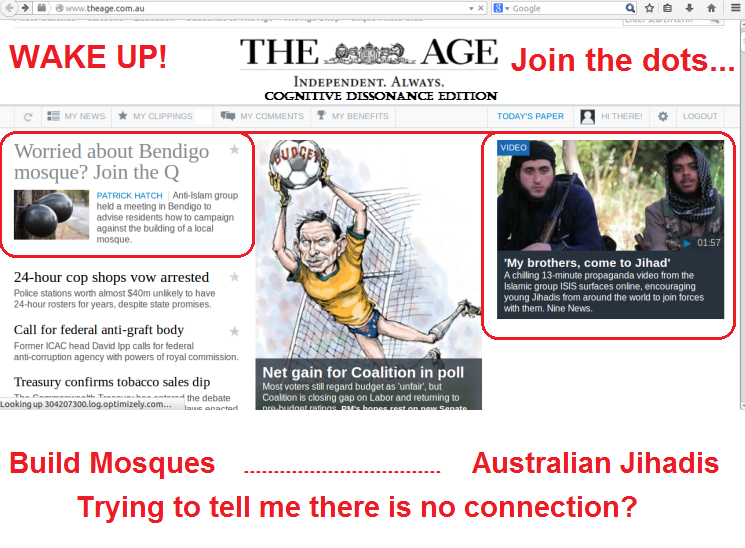 While on the same day yesterday, The age published two stories on Muslim issues but seemed to fail to understand any connection between the two stories. Do you guys even read your own paper? Of course it didn’t help that a ugly caricature of Tony Abbott in Speedos with a soccer ball was between the two stories discouraging any intelligent eye from moving in that path. These publications took an interest in the mega mosque story. Funny you didn’t care when they were building a mosque in Bendigo, but on your own doorstep, you did. We call that NIMBY, Not In My Back Yard. Maybe you should all care more about this country, not just your own house price or debt to equity ratio. 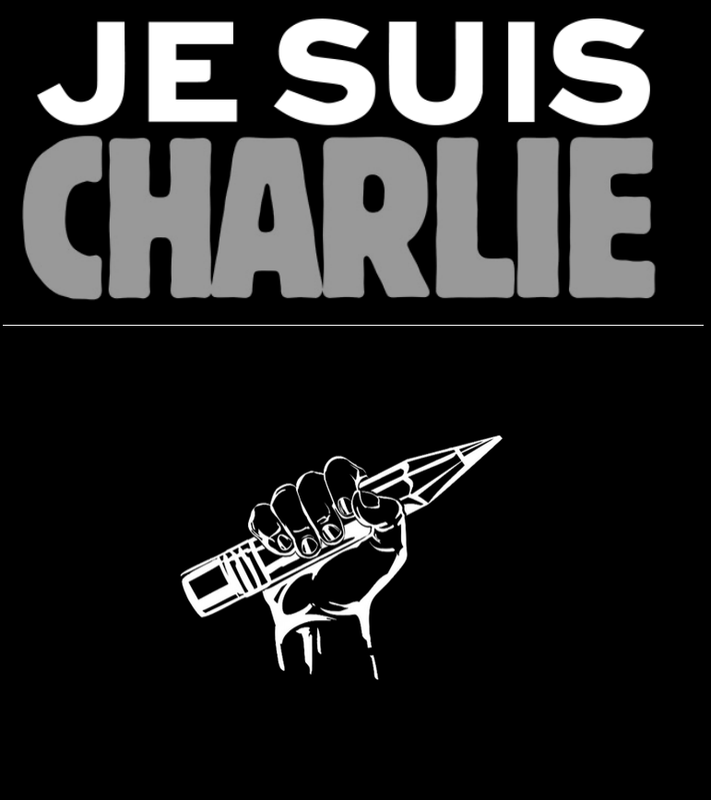 as Islam demands that all Muslims must lie in order to advance the cause of Islam. 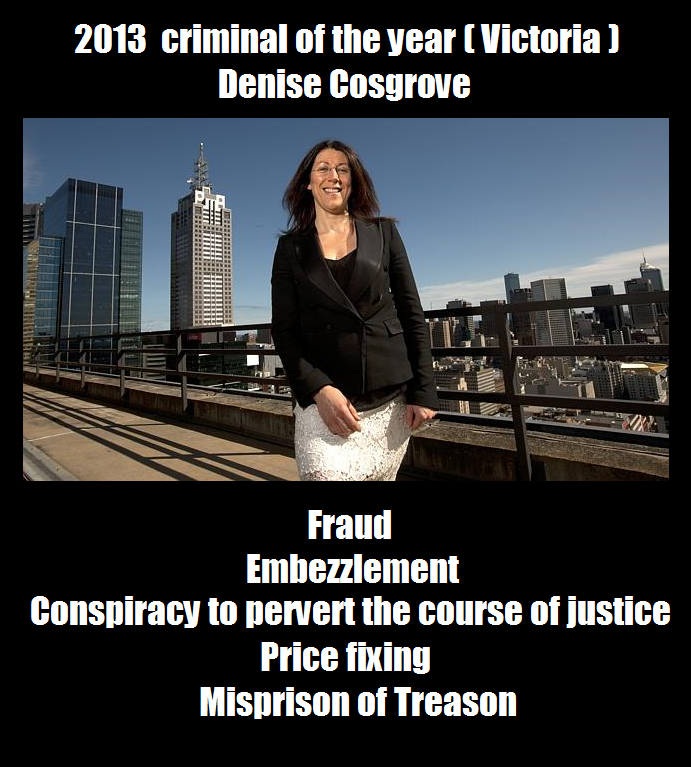 Fraud, Embezzlement, Conspiracy to pervert the course of justice, Price fixing, Misprision of Treason. there is a little thing at the bottom of the page called ‘comments’ with a number next to it, if you read that section you might get some more context before you run off half cocked, I think you have that feature on some of your articles, we have it on all of our articles. And yes we moderate comments also. Posted on June 24, 2014, in Australia, Cognitive Dissonance, Fascism, Land, Legal cases, Middle East, Screenshot, Victoria and tagged churnalism, Copy Pasta, Denice Cosgrove, Islam, Journalism, The Age, weeklyreviewStonnington. Bookmark the permalink. 2 Comments. I’m a reporter from the Age.